Neatby, H. Blair. "William Lyon Mackenzie King". The Canadian Encyclopedia, 07 December 2018, Historica Canada. https://www.thecanadianencyclopedia.ca/en/article/william-lyon-mackenzie-king. Accessed 18 April 2019. W.L. 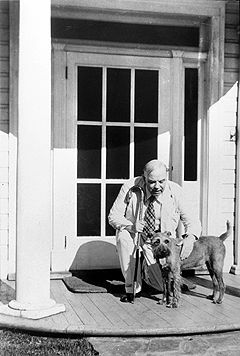 Mackenzie King with his dog Pat, to whom he was devoted, at Kingsmere, Québec (courtesy Library and Archives Canada/C-55540). 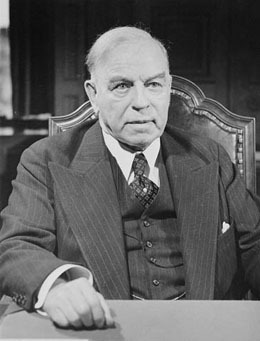 William Lyon Mackenzie King, prime minister of Canada 1921–26, 1926–30 and 1935–48 (born 17 December 1874 in Berlin [Kitchener], ON; died 22 July 1950 in Kingsmere, QC [near Ottawa, ON]). Leader of the Liberal Party 1919-48, and prime minister for almost 22 of those years, King was the dominant political figure in an era of major changes. As Canada’s longest-serving prime minister, King steered Canada through industrialization, much of the Great Depression, and the Second World War. By the time he left office, Canada had achieved greater independence from Britain and a stronger international voice, and had implemented policies such as unemployment insurance in response to industrialization, economic distress, and changing social realities. King, the grandson of William Lyon Mackenzie, graduated from the University of Toronto in 1895 and studied economics at Chicago and Harvard. In 1900 he became Canada's first deputy minister of labour. King’s interest in labour coincided with an expansion in manufacturing and increasing tension within industrial relations. As deputy minister of labour, King acted as conciliator in a number of strikes, and was the main influence behind the Industrial Disputes Investigation Act of 1907, a landmark piece of legislation which delayed strikes or lockouts in public utilities or mines until a conciliation board achieved a settlement or published a report. In 1908 he was elected in North York as a Liberal and in 1909 entered Sir Wilfrid Laurier's Cabinet as minister of labour. King was defeated in the 1911 federal election and the 1917 conscription election. He maintained his connections with the Liberal Party, but during the war acted as a labour consultant and was employed by the Rockefeller Foundation. His book Industry and Humanity (1918) outlined his view that there were four parties to industry — capital, management, labour and society — and that the government, acting on behalf of society, had an interest in the peaceful resolution of industrial disputes. At the 1919 Liberal convention King was appointed Laurier's successor. Two years later the Liberals won a bare majority in the federal election and King became prime minister. He set out to regain the confidence of the farmers in Ontario and western Canada who had supported the new Progressive Party, but his reductions in tariffs and freight rates were not enough, and after the 1925 election the Liberals could stay in office only with Progressive support. During the first session of the new Parliament, it became clear that the Progressives would withdraw their support because of a scandal in the Department of Customs. King therefore asked Governor General Viscount Byng for a dissolution. However, Byng refused and called on Arthur Meighen to form a Conservative government, which was defeated in the House a few days later. In the 1926 election King stressed the alleged unconstitutionality of Meighen's government, but the Liberal victory in that election really stemmed from the support of Progressives who preferred the Liberals to the high-tariff Conservatives (see King-Byng Affair). In the prosperous years after 1926 the Liberal government provided a cautious administration which reduced the federal debt. Its only initiative was an Old-Age Pension scheme. King insisted on Canadian autonomy in relations with the United Kingdom and contributed to the definition of Dominion status at the 1926 Imperial Conference; according to the resultant Balfour Report, British dominions were defined as autonomous and equal members of the British Commonwealth of Nations. This satisfied King, who was loyal to the British empire while also championing sovereignty for Canada. Despite King’s background in economics, he was reluctant to acknowledge the scale of the economic crisis in the 1930s. It is perhaps instructive that he did not even note the stock market crash of 1929 in his personal diary. 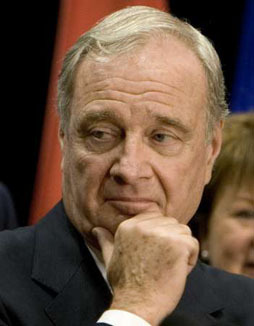 King did not believe at first that the Depression would seriously affect Canada, and refused to provide federal funding to provinces struggling with unemployment. In contrast, the Conservatives under R.B. Bennett promised aggressive action, and the Liberals were soundly defeated in the 1930 election. Developments abroad, from the Ethiopian crisis to the Munich crisis, forced King to pay more attention to international affairs, and he hoped war could be averted through appeasement. Like many other leaders of the time, King was impressed by Hitler when the two met in Berlin, Germany on 29 June 1937, writing in his diary that Hitler “is really one who truly loves his fellow man” (see King’s diary, 29 June 1937). Although they discussed many topics, King did not bring up the Nazi party’s anti-Jewish policies during the meeting. There was widespread discrimination against Jews even in Canada, and the country’s immigration policy at the time was influenced by anti-Semitic views (see Anti-Semitism). When they met in June 1937, Hitler reassured King that Germany had no desire for war. Events quickly revealed Germany’s true intentions, however, and King’s hopes of avoiding another war were disappointed. As the likelihood of war increased, he insisted that the Canadian Parliament (not the British government) would decide on Canada's participation if war came; to make such a decision more palatable, particularly to French Canadians, he promised there would be no conscription for overseas service. Britain declared war on Germany in September 1939; the Canadian Parliament was recalled in an emergency session, and, with only token opposition, King declared that Canada was at war. King called a snap election early in 1940 and his government was returned with an increased majority. Co-operation between the government and business and labour leaders shifted Canadian industrial production to a wartime footing, and unemployment fell dramatically. The remarkable industrial expansion involved special financial arrangements with the US and economic planning on a continental scale. To placate Canadians who feared the return of the Depression after the war and who looked to the government for greater social security, King introduced unemployment insurance in 1940, and his reconstruction program, based on Keynesian Economics, included family allowances and proposals for health insurance. The Liberals narrowly won the 1945 election. King did not play a decisive role in the postwar era, preferring a minimal role for the government at home and abroad. He was persuaded to resign as prime minister in 1948 and was succeeded by Louis St. Laurent. He died two years later. Mackenzie King has continued to intrigue Canadians. Critics argue that his political longevity was achieved by evasions and indecision, and that he failed to provide creative leadership; his defenders argue that King gradually altered Canada, a difficult country to govern, while keeping the nation united. However, King’s political achievements have often been overshadowed by the revelation that this apparently proper and colourless man was a spiritualist, who frequently sought contact with his mother and other dead relatives and friends. King kept a detailed personal diary for much of his life; this diary — which was transcribed and published in a series of volumes edited by Pickersgill and Forster — has provided biographers and historians with fascinating insight into King’s beliefs and his personal and spiritual life. The publication of C.P. Stacey’s A Very Double Life in 1976 led to intense speculation about King’s sexual and spiritual life, and many presented him as leading an almost Jekyll-and-Hyde existence. However, Allan Levine argues in King: William Lyon Mackenzie King: A Life Guided by the Hand of Destiny (2011) that King’s eccentricities in fact informed his political decisions, and that King’s faith and spirituality were an integral part of his personality. While many have ridiculed his regular seances and his discussions with his beloved Irish terriers (Pat I, II, and III), his personal idiosyncrasies should not overshadow his political achievements. 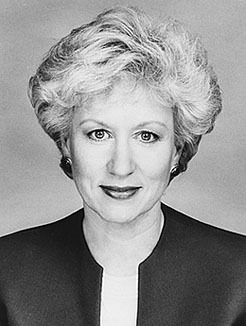 R.M. Dawson, W.L. Mackenzie King 1874–1923 (1958) and H. Blair Neatby, W.L. 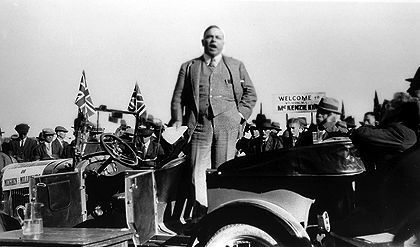 Mackenzie King 1923–32 (1963) and W.L. Mackenzie King 1932–39 (1976); J.E. Esberey, Knight of the Holy Spirit (1980); J.L. Granatstein, W.L. Mackenzie King (2002); C. Gray, Mrs. King: The Life and Times of Isabel Mackenzie King (2008); B. Hutchison, The Incredible Canadian: A Candid Portrait of Mackenzie King (2011); A. Levine, King: William Lyon Mackenzie King: A Life Guided by the Hand of Destiny (2011); Mackenzie King: Citizenship and Community: Essays Marking the 125th Anniversary of the Birth of William Lyon Mackenzie King (2002); J.W. Pickersgill and D.F. Forster, ed., The Mackenzie King Record (4 vols, 1960–70); T. Reardon, Winston Churchill and Mackenzie King: So Similar, So Different (2012); C.P. Stacey, A Very Double Life (1976). J.S. 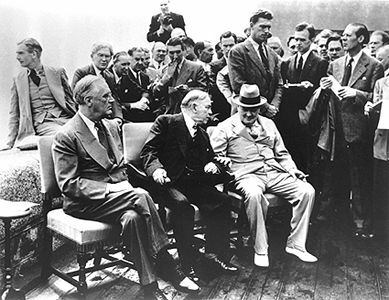 Woodsworth View a brief video about James Shaver Woodsworth and his negotiations with Prime Minister Mackenzie King over the creation of the first elements of Canada's social-security system. A Heritage Minute from Historica Canada. See also related learning resources.